On-site cottages are now available for rental! 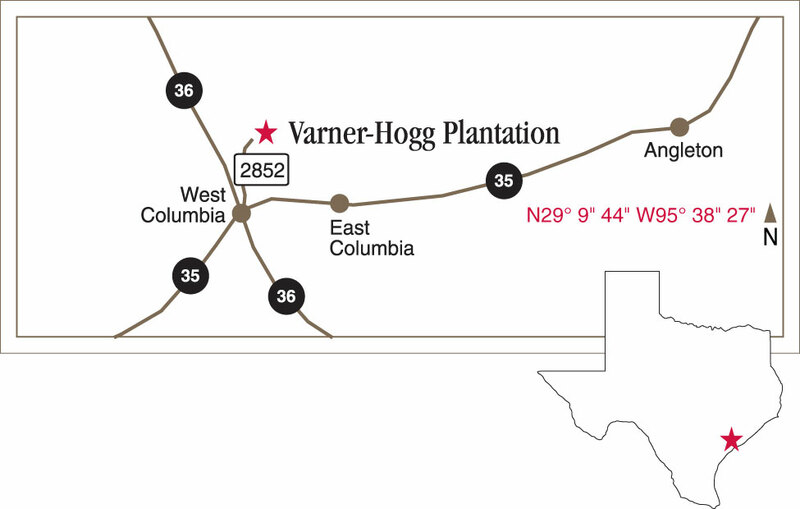 GPS: N29° 9' 45" W95° 38' 27.5"
Pecan orchards, magnolia trees, and generations of Texas history and commerce encapsulate Varner-Hogg Plantation State Historic Site. The home tells the story of its three owners: Austin colonist Martin Varner, sugarcane mogul Columbus Patton, and Texas Gov. James S. Hogg. This property hosted sugarcane production, rum distilling, and oil drilling as it transitioned through families. Last month, Varner-Hogg Plantation State Historic Site’s pathways were illuminated by twinkling lights and glowing candles as we welcomed visitors to the site for an evening celebration of the season. Download the Varner-Hogg Plantation visitors guide (PDF) for a snapshot of the site. Help us preserve Texas history. Donate now to support the preservation, education, and outreach activities of Varner-Hogg Plantation.